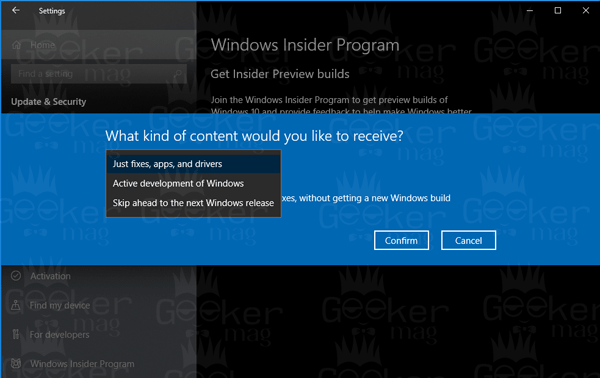 Want to join Windows 10 Insider Preview Program? 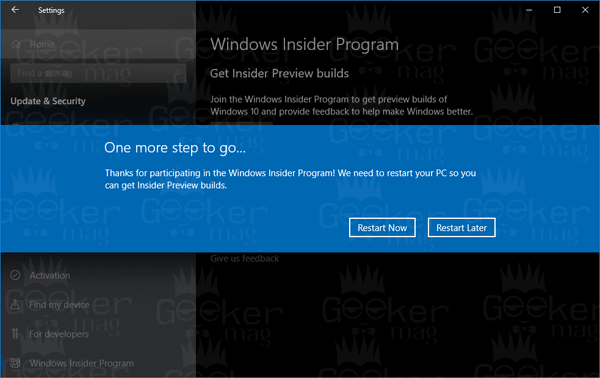 The post has step by step instructions to do that and become part of Windows Insider Program for Windows 10 PC. Windows Insider Program is a software testing program initiated by the Microsoft. Under this program user running a genuine copy of Windows 10 operating system. It is for the users who want to become the first one to explore new features of Windows 10 before those are available for the public. 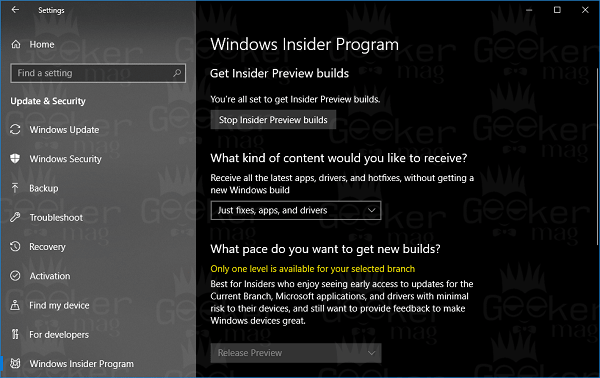 Once you sign up Windows 10 Insider Program users will start receiving pre-release builds of Windows OS. 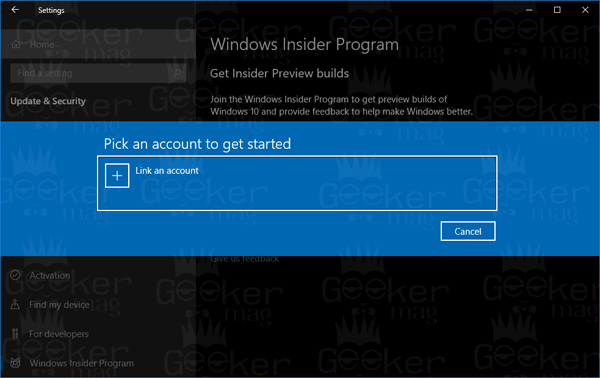 In case you have decided to Signup for Windows 10 Insider Preview Program so that you can start receiving latest releases of Windows 10. But how you can do that? 1. 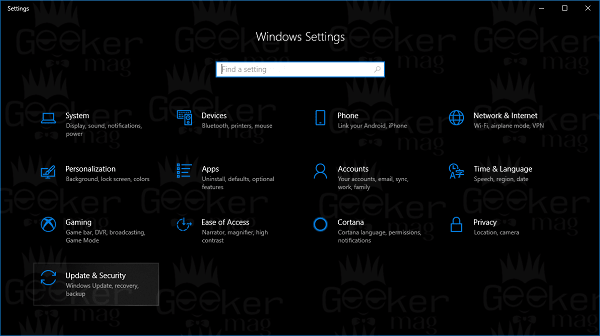 Launch the Settings app on your Windows 10 machine. 2. Click on ‘Update & Security‘. 3. On the left pane navigate to ‘Windows Insider Program‘ and click on it. 4. On the right pane, click on ‘Get started‘ button. This won’t take long pop-over will appear. 5. Now “Pick an account to get started” pop-over will appear. Here you need to click on the ‘Link an account‘ button. 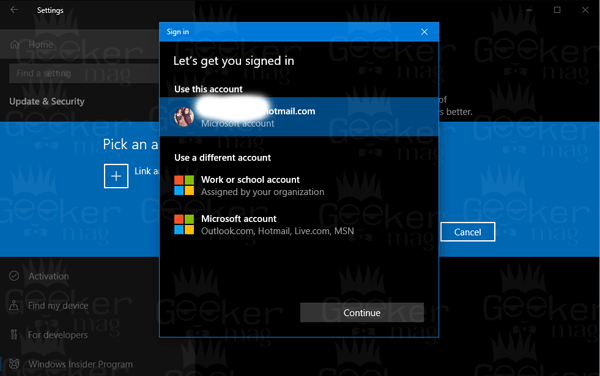 This will bring the “Let’s get you signed in” dialog box will show you the list of Microsoft account the same you using for your machine accompanied by an option to the user other Microsoft account. After selecting an account click on the ‘Continue‘ button. Again ‘This won’t take long‘ dialog box appears. 6. The ‘What kind of content would you like to receive‘ pop-over will appear. Here using the drop-down, you need to select the option which suits best for you. And then click on the ‘Confirm‘ button. It is best for those users who want to get access to the latest updates, first-party apps, and the drivers by putting their device at minimal risk. The update is available for users few days before it going to available to the public. Under Slow ring, users will receive better and stable updates in comparison to the Fast ring. Fewer bugs and unstable apps. When this option is selected, the Windows Insiders got an option to made selection between testing an upcoming release or the update that is coming after that forthcoming release. So you’re aware of what kind of content you will receive by selecting the options discussed above. Now it is up to your what selection you make. In my case, I would like to go with Just fixes, apps, and driver as it is going to give me early access to Windows 10 Spring Creators Update. 7. ‘The more step to go‘ pop-over will appear. Here you need to click on the ‘Restart now‘ button. 8. 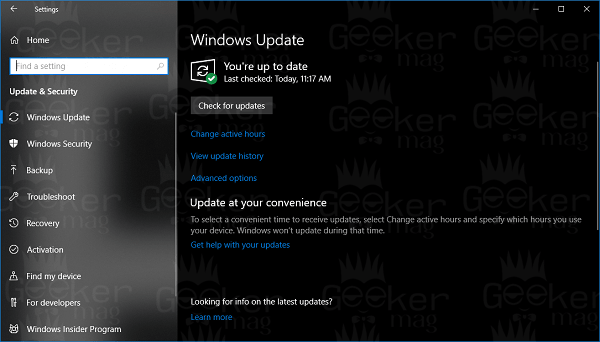 After the successful PC reboot, you’re ready to receive pre-release updates for Windows 10. 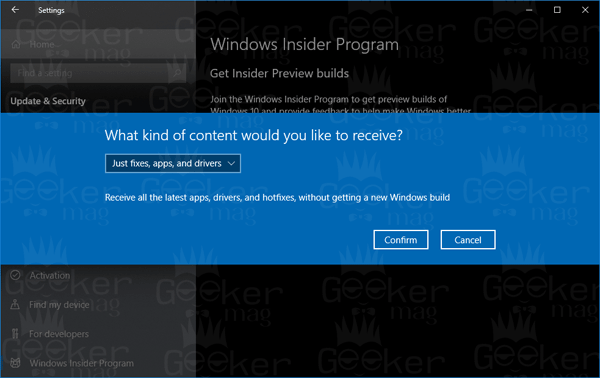 You can also manage Windows Insider Program setting to switch between what kinds of content you would like to receive. 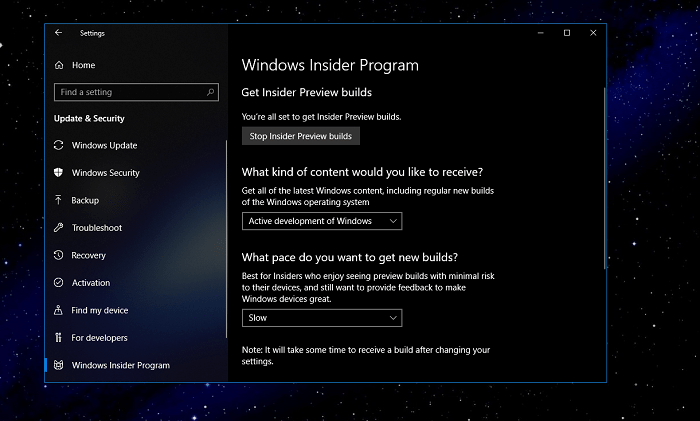 After enrolling in Windows 10 Insider preview program, you can check for latest update – To check the latest updates, you can go to Settings -> Update & Security -> Windows Update – Check now. 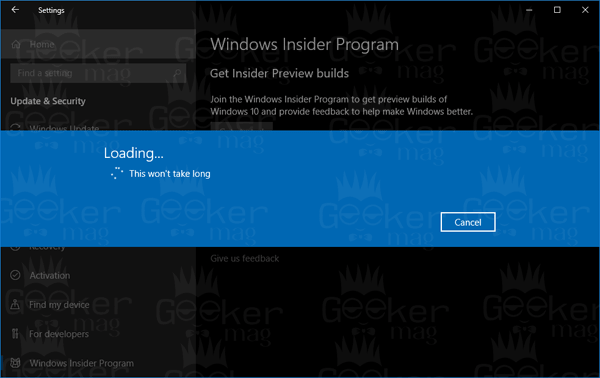 Related Reading – If you want to you can also unenroll from Windows 10 Insider Preview Program check out my post on How to Stop Receiving Insider Preview Builds in Windows 10. That’s all about this blog post. 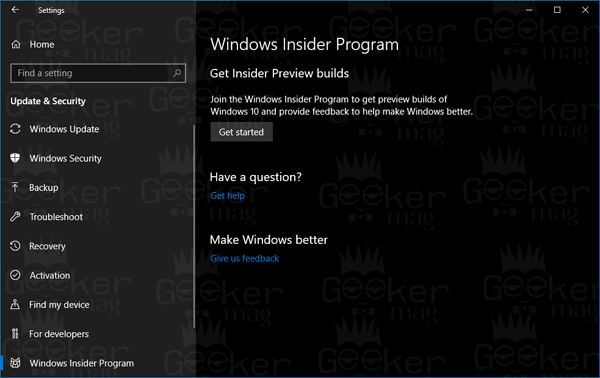 I hope you find this post on how to join Windows 10 Insider Preview Program useful. If you have any question related to Windows Insider Program drop it in the comments.